» Fire-topping in 2016: A February update! Gosh, we’re motoring through 2016 at an incredible speed! It’s been sometime since our last blog post and hopefully you’ll forgive us for not posting as things have been incredibly busy on multiple fronts. We also unashamedly use our Facebook page, Twitter and Warlock Kickstarter page as a bit of a launching pad for most our news these days as, well, it’s easier to do this amidst the carnage of ongoing game development. Having said that we felt it was about time we gave the blog a bit of love and give you a rundown of all the exciting developments that have been happening in Tin Man Towers as well as some news about what’s around the corner! THE WARLOCK OF FIRETOP MOUNTAIN! 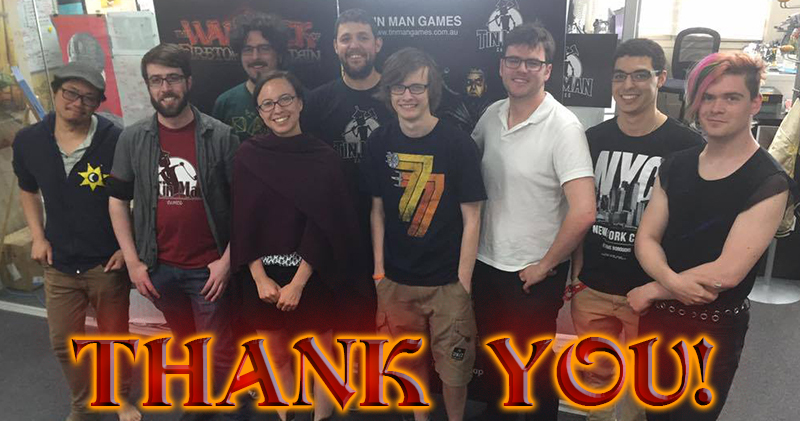 The Kickstarter for The Warlock of Firetop Mountain ended on November 30th last year and we successfully raised $54,676 (Australian Dollars) with over 1,257 of you backing the campaign via the KS page. In truth we made a little more than that as there were also some Paypal donations that dropped in. So thank you so much if you pledged! We’ve already sent out many of the backer rewards and are working on delivering the last few over the next couple of months. Briefs are currently being sent out to backers who pledged to design characters, rooms and new death endings – we’ve already had some brilliant ideas filtering through. Russ Nicholson is also busy working on some new illustrations for the gamebook and is designing a brand new inhabitant of Firetop Mountain – The Soulkeeper! We recently ran a poll via our facebook page that asked voters to pick their favourite name from five options. We can now announce the final chosen name is ORIANA! Soon you’ll find out more about Oriana’s impact in Firetop Mountain and generally how the development of Warlock is going by wandering over to our Kickstarter updates.We’ve already posted info about our awesome new 3D mapping system and the new digital miniatures that some of the Kickstarter money is being used to fund. We’ll continue adding regular updates as we go along and currently our plan is to release on Steam around mid-May. 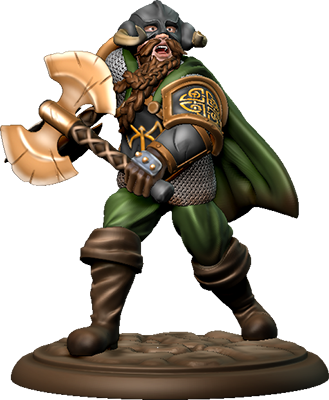 There is a lot of work between now and then however so excuse us as we knuckle-down to make The Warlock of Firetop Mountain the best it can be! CHOICES: AND THE SUN WENT OUT! November 2015 also saw another big moment for TMG as we released only our second free-to-download app on the App Store (the first being Infinite Universe about 4 years ago that was turned into a premium app a few months later). It is also the first time we have offered a subscription-based model so that readers can continuously be involved in the adventure with a weekly update. Choices: And The Sun Went Out is about as far removed, in terms of choice-based narrative delivery, from Warlock as you can get. We decided to keep the structure a lot lighter within the interactive narrative by making the story purely driven by choices, so not including any form of “gamebook” structure like combat or a complex inventory system. This is so we could craft a vast story that was purely dictated by the choices that reader makes. 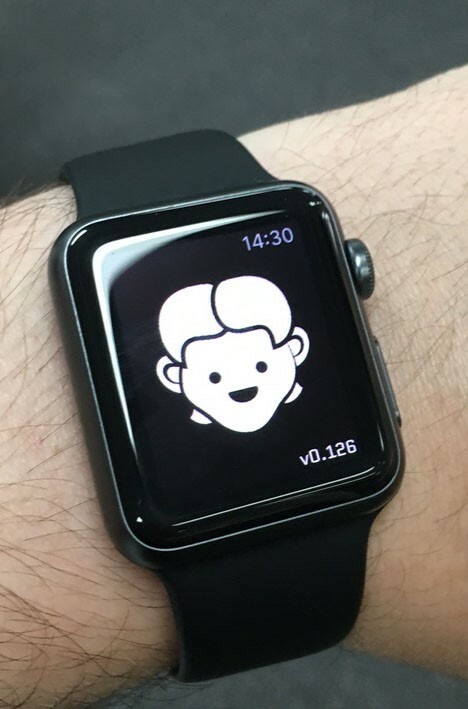 We also decided to make the app compatible with the Apple Watch and were keen to break the fourth wall by allowing Moti, your AI companion in the adventure, to converse with you via the watch in much the same way as it does in-game. The watch isn’t required to play the adventure but if you have a watch it certainly adds to the immersion! We have lots of plans for Choices in the coming months and so far the subscription model is working well. We think it’s pretty cheap too to get involved with the story – $1 per month, $2 per quarter or $3 for a 6 month subscription. We have a great writing team consisting of our very own KG Tan and new Tin Minions, Alyce Potter and Felicity Banks (winner of the 2015 Windhammer Prize for Short Gamebook Fiction), who will be taking the story to it’s conclusion at the back end of this year. For anyone concerned about how the end affects our subscription model, then you’ll be pleased to know that we have a whole new story kicking off within the app around May/June. If you haven’t experienced Choices on your iOS device yet then download the first free Arc right here! An Android version is coming soon. At the back-end of 2015 we received a few lovely awards that made us all smile A LOT! Firstly, Ryan North’s To Be or Not To Be won the Accessibility Award at the Australian Game Awards, held here in Melbourne during International Games Week. We were all suited and booted to receive the award and a good night was had all round (as I’m sure you can imagine!). 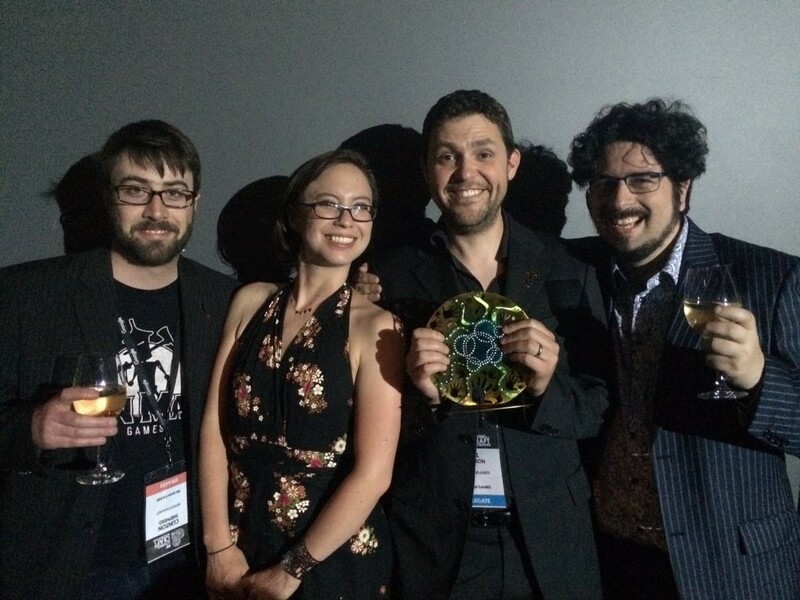 This was the second year that we have won the award and we are really keen to keep looking to make our games more accessible in the future. Up until now, implementing VoiceOver support has been tricky and cost-prohibitive for us because of the way we develop our apps. While this is still the case, their have been advancements and for the first time this year we will be looking to add this feature to new titles we release, which is so important for visually-impaired gamers. Thirdly, we were over the moon upon release of Choices: And The Sun Went Out to receive a banner feature on the Australian App Store. This really helped kick-start our initial user base of the free app. What was even more exciting was that the US App Store then chose Choices: ATSWO as one of their Best of 2015 in the Apple Watch category! APART FROM WARLOCK, WHAT’S NEXT?? And finally, if you follow us closely on social media you will know that we have signed up the Miss Fisher’s Murder Mysteries license, and with funding from Film Victoria, currently developing an adventure game based on the hit 3-season TV show called Miss Fisher and the Deathly Maze. We are working closely with Every Cloud Productions, who produced the show, and have hired writer, Luke Miller (known for My Ex-Boyfriend the Space Tyrant), to write a choice-based interactive narrative that we will be using within our new visual novel-styled interface. We don’t want to reveal too much just yet, but fans of the show are in for a real visual treat!